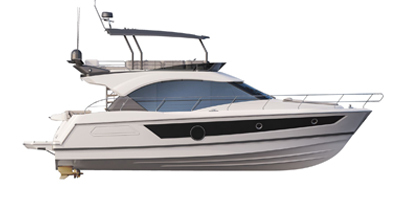 The Antares 6.80 perpetuates a whole generation of Antares that is renowned for its outstanding seafaring qualities. Able to accommodate up to 7 people on board, the layout of the cockpit and the wheelhouse are the highlights of this boat. Furthermore, the Antares 6.80 has a double hull tunnel created and patented by André Bénéteau, which maximises speed and comfort at sea as well as safety and directional stability.